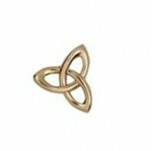 Celtic Connexions : Celtic Connexions 10% off all website purchases! Until the end of may we're taking 10% off all items on the new website. Jump on over and take a look. We'll be wrapping up these specials on the 31st so get them while they last.Also, don't forget about the opportunity to visit Scotland with us next year. Check our tour website for the details. We are attending the European Pipe Band championships in Forres and are looking in to potential concerts, hopefully Susan Boyle or someone of similar standing.